Gamers are becoming some of the most influential people online and offline. Gamer and influencer FaZe Adapt is one of the most influential members of FaZe Clan, a Call of Duty based gaming clan founded in 2010 whose ranks are now dominated by pro gamers and internet personalities. FaZe Adapt is one of the clan’s original members. Like his clanmates, he began his career simply by posting clips of him playing Call of Duty, and eventually expanded into vlogging. FaZe Adapt is one of the clan’s most popular members with 4.6 million subscribers – even more than clan founders FaZe Temperrr and FaZe Banks. Call of Duty gaming clan FaZe Clan was one of the first gaming clans to go mainstream, and has inspired other gamers to create similar communities. FaZe Adapt was one of the clan’s original members. The clan has expanded from gaming to a branded empire encompassing creators, influencers, and entrepreneurs, including FaZe Adapt. It has has created numerous millionaires, who together have earned so much money that they have moved into million dollar mansions – on three separate occasions. FaZe Clan and Adapt make the majority of their money from YouTube ad revenue, merchandise sales, and sponsorships. How Did FaZe Adapt Get Rich? The FaZe House in Hollywood. FaZe Adapt was born on June 5th, 1997 in Arizona. His real name is Alexander Hamilton Pinkevich, and most of his fans interchangeably refer to him as Alex or Adapt. He has four sisters, one older than him and three younger. FaZe Adapt was quite active in his middle school and high school years. He was an avid basketball player, although he still loved gaming and Call of Duty in his free time. Adapt was unfortunately severely bullied in his youth due to his smaller than average size and his mild stutter. The bullying intensified after he was cut from the team, to the point hat his aggressors would physically pick him up and toss him on a regular basis. Being cut from the school basketball team certainly did a number on FaZe Adapt’s confidence, and it didn’t help that he was socially awkward and had few friends. Defeated, he turned to his other passion – gaming. Adapt had been a fan of FaZe clan since its inception in 2010, and worked hard to perfect his ingame skills so that he would be accepted into the clan. Several of his early trickshot videos went viral, which resulted in him being accepted into FaZe Clan after 2 years of playing with SoaR, his first clan. Shortly after FaZe Adapt was accepted into FaZe clan, the clain’s popularity began to skyrocket. 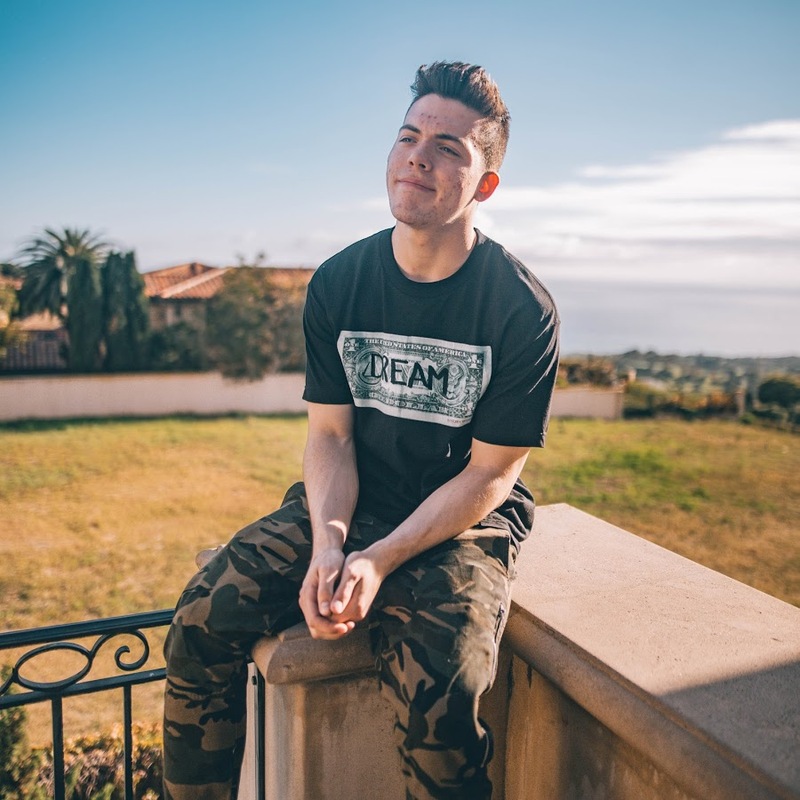 As the core members began to expand their video repertoire, FaZe Adapt followed suit by creating his own vlogs and skits along with his usual trickshots and playthroughs. His most popular videos consist of pranks, skits, and vlogs from his everyday life. When FaZe Clan’s popularity began to take off around 2014, FaZe Adapt abandoned his plans for college to pursue gaming full time. He moved into the FaZe house, a house rented by members of FaZe Clan where they lived and made videos together. 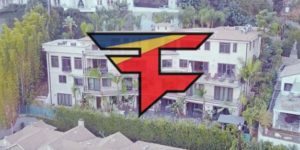 That house was upgraded several times through FaZe Clan’s lifespan, eventually culminating into the rental of a 15 million dollar mansion with separate suites for the core members of FaZe Clan. FaZe Adapt and his GTR. Where does FaZe Adapt live? Does he live in the FaZe Mansion or the Clout House? FaZe Adapt is originally from Arizona, but has moved around several times to live with other FaZe Clan members. He moved to the newest FaZe Clan mansion in February 2018. The four-story mansion is worth an estimated 15 million dollars and is situated in the heart of Hollywood. How old is FaZe Adapt? He was born on June 5th, 1997, making him 20 years old. For someone so young, he has already accomplished a lot! What car does FaZe Adapt drive? In January 2018, he posted a video of a brand new Nissan GTR. The month before, he posted a video lamenting the fact he had to sell his older GTR, but surprised viewers with a video where he got a new one.